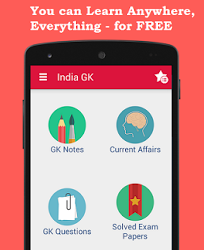 2nd January 2016 Current Affairs MCQs, Quiz, Questions: Current Affairs for January 2016, Daily Multiple Choice Questions (MCQs) for India GK, World GK and current affairs with Collection of daily objective type Question by www.Indiagk.net based on General Knowledge (GK) and General Science (GS) Questions for UPSC, State PSC, SSC, Police exam, Railway exam, SBI, Bank PO, IBPC, SSC, LDC, UDC, Army, Airforce, Navy, Coast Guard, Bank Clerk, TET and all entrance examination with current affairs News, Multiple Choice Questions (MCQs) available on Website www.IndiaGK.net and Android Apps with daily updates:. Which player is selected for BCCI 'Cricketer of the Year' award 2015 ? Who is appointed new CMD of BHEL ? Atul Sobti on 1 January 2016 took charge as Chairman and Managing Director (CMD) of state-owned power equipment maker Bharat Heavy Electricals Limited (BHEL) for a period of five years. His appointment as CMD of BHEL was approved by the Union Government in September 2015.